Embed an HD YouTube video. You only put the video ID in between the BB code tags (NOT the full URL!). Embedding must be enabled for the video! This tag allows you to left align an image with text wrap. [imgl]http://www.letsgokings.com/gallery/files/1/img_4563_thumb.jpg[/imgl]Left align an image with text wrap. Left align an image with text wrap. This tag allows you to right align an image with text wrap. 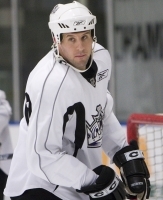 [imgr]http://www.letsgokings.com/gallery/files/1/img_4580_thumb.jpg[/imgr]Right align an image with text wrap. Right align an image with text wrap. Embed youtube videos, just put the number code at the end, not the entire url.